Good writing is always honest; and even better when it is brave. 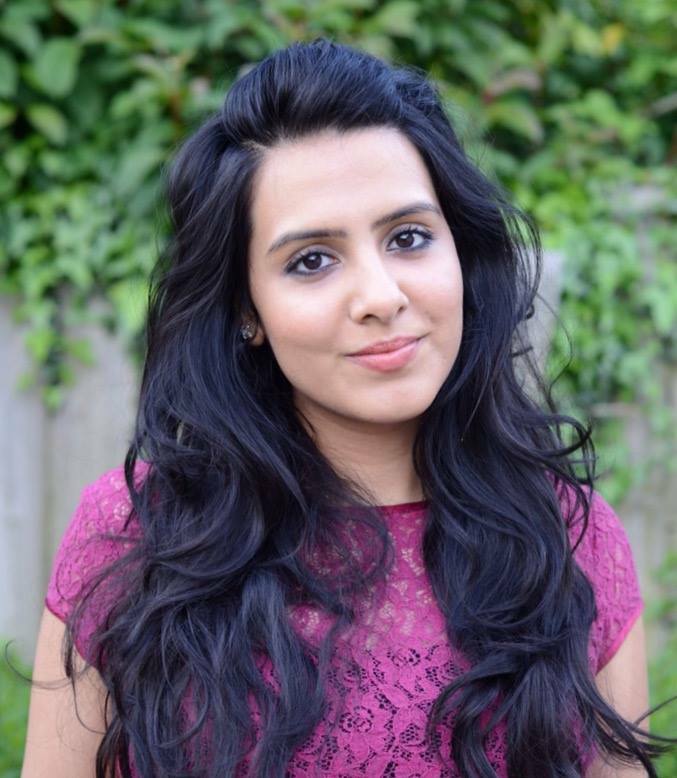 Who better to ask about the recent eruption of a raw and writhing form of literary expression- the live-wire world of Performance Poetry – then, than the straight-talking Shruti Chauhan, one of its younger, rising stars: “I have always adored page poetry” she told us. “I received a lot of encouragement for it, for example through mentoring programmes, where I got to work closely with Canal Laureate Jo Bell, and Mark Goodwin. But it wasn’t until I took to the open mic that things really took off.” At once soft and searing, Shruti’s verse delves deep into questions of identity that gain a delicious drama as they come to stage: “this voice sipped sonnets/similes, soliloquies”, she reads with the gushing grace of a film-noir actress (precise wrist movements and all), from one of her cultural exploration poems, ‘In Praise of my Voice’, “high, sometimes low/this voice simmered/now silky, stormy…”As the Leicester-based lyricist herself stated: “poetry is in essence dynamic, and that’s why it’s so thrilling to feel out.” Now in the middle of her first UK tour, ‘Three the Hard Way Part 2’, supported by Arts Council England, she joins two fellow poets – internationally acclaimed Jean Binto Breeze, known for her Jamaican ‘Dub’ poetry, and the neon-haired Lydia Towsey, a prolific Midlands talent – as part of an experimental, cosmopolitan trio. With the rehearsal process involving a sort of freestyle “feeding off each other’s poems, and responding to each other’s accounts”, Shruti is evoking the largest truth yet; the women effectively deflect from the red herring of race or gender to the internal meeting point of “human experience”. Tell us a bit more about this tour? Three the Hard Way was inspired by Jamaican DJ culture. The artists would respond to each other’s sets in a way that was either collaborative or competitive, so we are adapting that for the purposes of poetry. You end up looking at the poems and the places where they converge. It’s what happens naturally with people close to you and what fosters a sense of community. It’s a one and half hour long show, playing with sound, voice and movement, and picks up on themes of cultural diversity, politics and gender. And is there a feminist angle at all? yes, in that we are 3 women speaking out. Does performing take poetry to the next level? Performance poetry is definitely thriving on the literary scene. I’ve always been a performer, and poetry after all, did begin as an oral tradition e.g. The Iliad, The Odyssey. Though it was later bound to the page, it always begs to be taken off it. I have seen disillusioned students being asked to analyse poetry at school, and I do think vocalisation can help. 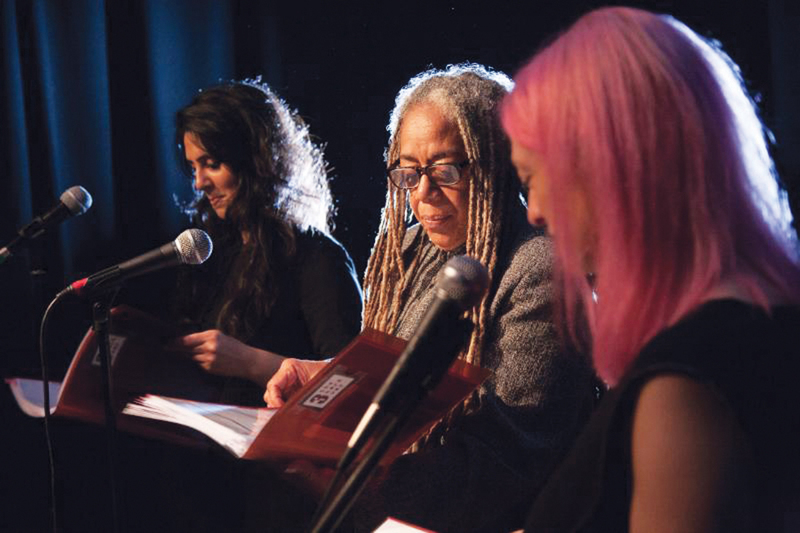 Poetry is there to speak to people and in that sense, performing makes it accessible. Do you think it helps ‘access’ yourself too, as the writer? Yes, it compels you to speak from the heart. You plunge into the depths and it feels different every time. It is difficult to compare to page poetry though. Written words still contain musicality and if it’s a good poem in print it should, in theory, be good on stage. They’re sort of inseparable. I love writing too. For example when you finally find that perfect word, what Flaubert called ‘le mot juste’. Is there a central theme to your poetry: wonder, culture, romanticism? No, not really. From issues such as cultural skin-bleaching to mental health and the way that women sometimes become self-deprecating when they’re relating to men – I wrote a poem called ‘Why Don’t you like me?’ - I don’t necessarily pick a theme so much as it manifesting by itself. It just comes from the every day. That’s a writers’ inspiration: overhearing a conversation, feeling a certain way. It’s all around them. You do have some very funny poems. Is comedy a huge part of your collection? Well naturally, some of my observations fall into that category. I’ll just be describing something, and it touches on something light; for example with the poem, ‘Relations’. I was genuinely just thinking about how perplexing it is to explain the broadness of the term ‘auntie’, in Indian culture! Have you always had a proclivity for language? I’ve always been drawn to sound in a broader sense. My dad is very musical, and I learned Indian classical vocal music. I love the shapes and colours of certain words. I have a passion for languages too. I taught myself Hindi and studied Sanskrit. Now, I know you have a fascination with the moon? (Laughs) It’s not just the moon- it’s the sky in general. Looking out into the depths of space has a very grounding effect. It’s humbling. Finally, who are your inspirations?